Dan Bateyko is an independent Internet rights researcher. Dan has worked as a research assistant with the Harvard Law School’s Berkman Klein Center’s Internet Monitor Project, and as a Thomas J. Watson Research Fellow on Internet rights movements. Follow him on Twitter at @dbateyko. This post is a response to Net Politics post from January 2019. The days when state authorities could block specific news articles are, thankfully, mostly over. Due in part to a corporate responsibility push for HTTPS, which limits a censor’s ability to filter individual web pages, governments now must choose to block all of a website’s content or none of it. From a ‘rational’ censor’s perspective, every decision to block a website must be balanced against the potential ‘collateral damage’ to its self-interest: Would blocking a particular service harm its economic goals? How will citizens react to a total block? When faced with an all-or-nothing decision, censors often decide not to block at all. Capitalizing on this trend, many circumvention initiatives rely on a ‘Collateral Freedom’ strategy, deterring censors by increasing the likelihood and costs of ‘collateral damage.’ The watchdog GreatFire.org uses this strategy to great effect by mirroring news sites like Reuters on Amazon’s Cloudfront, a popular cloud platform used by a number of companies, including many in China. But what most Collateral Freedom initiatives have in common is that they work at the network-level to make circumvention attempts hard to distinguish from normal web traffic. Could this winning strategy apply to social media-based censorship? Open Tech Fund fellow Valentin Weber suggests it could. Last month in the CFR Net Politics blog, Weber proposed that Chinese social media users could appropriate a Chinese company’s brand name or advertising slogan—say ‘Huawei’ or Lenovo’s “Let the World Connect”—as their own rallying cry for online free expression. Even if ‘Huawei’ suddenly comes to be code for an anti-government message, the theory goes, China would hesitate to block their home-grown brand and risk damaging its financial interests. Unlike technical approaches, which grant users access to news sites or messaging on privacy-protecting apps, Weber’s proposal is better thought of as a tactic for citizens to build an online political movement. While I applaud Weber’s initiative, I doubt that this strategy would work in practice. Weber misses the ways in which Chinese users already circumvent platform censorship to mobilize protests. 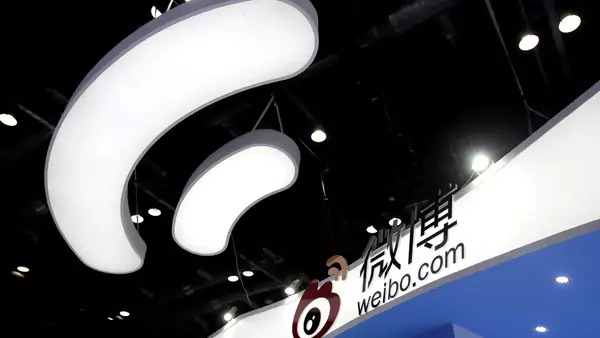 Weber likely underestimates the capabilities of platforms like WeChat and Weibo to censor and overestimates the economic costs of blocking a company’s brand. Taken in the context of the broader Internet Freedom agenda, I believe Weber’s enthusiasm for a market-based censorship solution is symptomatic of the Internet Freedom agenda’s often misguided “mutually-reinforcing orthodoxies of free markets and free speech.” To improve on future proposals, internet rights advocates would do well to reign in their exuberance for the power of markets alone to expand political liberties. To start, Weber’s proposal underplays ways in which Chinese citizens thwart detection and organize collective action. As Weber notes, Chinese users satirize social media censorship by substituting politically-sensitive words for allusions, puns, and emojis. But users engage in wordplay not only to circumvent censorship, but also to avoid direct confrontation with authorities offline. University of Copenhagen professor Jun Liu describes a tradition of Chinese residents using euphemisms like “take a walk” or “go shopping” to clandestinely call for street protests. In 2008, Guangzhou taxi drivers decided to "take the day off to have tea"—successfully mobilizing strikes against illegal taxis and municipal government tax policy. Like Weber’s proposal intends, blocking conversations about tea would have high societal costs for citizens. But this approach also gives organizers and journalists reporting on the protest plausible deniability about their intentions; in comparison, an oblique reference to Lenovo’s motto would raise a censor’s suspicions, lacking the connection to daily life that make these mundane euphemisms effective. Even if public accounts are infertile ground, could Weber’s proposal work in one-to-one messaging? Unfortunately, censors likely could distinguish casual comments about “Huawei” from concerted political references. A report from the University of Toronto’s Citizen Lab found that WeChat’s moderation system looks not only for keywords, but “keyword combinations”; while a user might get away with messaging the phrase “human rights,” WeChat can identify and automatically block the phrase “China arrests human rights defenders.” The report also found that censorship spikes in response to emerging events. Taken together, these aspects of WeChat’s moderation system indicate that while censors might inadvertently allow some politically-charged comments to go through, on the whole, censors could identify large-scale “internet rights” protests and subject them to greater levels of censorship. On top of these existing concerns, WeChat’s public promise to toughen its crackdown bodes ill for users speaking freely on China’s most popular app. Lastly, if Huawei’s branding were ever blocked on social media, would Huawei seriously face financial trouble? Word-of-mouth advertising certainly has some bearing on a company’s success. But Weber does not make clear how these companies stand to lose money if a social media platform bans their brand. The Chinese companies that Weber names, like Huawei and ZTE, make a sizeable chunk of their revenue from overseas markets. Even domestically, Huawei’s consumer sales do not hinge on people promoting their brand through social media posts in the same way that Chinese banks and startups depend on Amazon’s cloud infrastructure to operate. Moreover, there’s already evidence that China would be willing to censor these ‘economically important’ brands. According to the University of Hong Kong’s WeChatscope database, both ‘ZTE’ and ‘Huawei’ were among the top 10 censored keywords in 2018, blocked by censors whenever users mentioned their role in the China-U.S. trade war. If Weber’s tactic ever posed a serious threat, China has shown already that she would likely favor her political interests over any minor economic losses. In 2018, countries around the world acted seemingly against their economic interests, pursuing digital-protectionism and costly censorship in the form of data localization, social media taxes, and internet shutdowns. Whether these illiberal policies are aberrations remains to be seen, but they should give onlookers pause. Internet rights advocates would do well to remember those China watchers who argued—mistakenly—that Beijing could not liberalize its markets without democratizing its political system. Overconfidence in the liberalizing power of economic forces limits our imagination for how a country might act and leads us to miss a chance at better understanding the societal and political factors that influence state authorities. Collateral Freedom is a strong strategy worthy of adapting and applying to new use cases. But any new proposal for internet freedom should start with evaluating how and why a censor chooses to block content before attempting to influence a censor’s decisions.